Do you need carpet cleaning in Canning Town E16? Don’t worry. Our team of certfified Canning Town (E16) carpet cleaners are here to help you. They have years of experience in the trade and can take out any stain and provide professional cleaning care for any home rug or carpet no matter the fabric, size or condition. 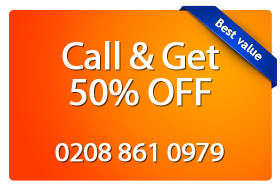 Magic Carpet Cleaning is a company operating in all London areas including Canning Town E16. We offer wide range of cleaning services, provided by trained and vetted staff at competitive rates. Customers satisfaction rate of over 95% speaks enough about our seriousness and dedication. See for yourself, just take a look at our customer reviews. Trust is important to us and we do our best to build a honest relationship with our customers. We ensure that all cleaning solutions used in our cleaning services are biodegradable and eco-friendly to help you create a 100% clean and healthy environment in your home. We guarantee that you will be satisfied by the results provided by our highly trained professionalcarpet cleaners in Canning Town E16. Our team of cleaners are friendly and courteous with full of energy who are ready to help you create your dream house. For further information regarding our services, please contact Magic Carpet Cleaning in Canning Town (E16) and we will be more than happy to assist you!